I promised there was light at the end of a long list of bras that do not fit me…and here it is. Panache Idina Plunge 6966 in latte. Image from Panache. Panache Idina Plunge 6966 in black. 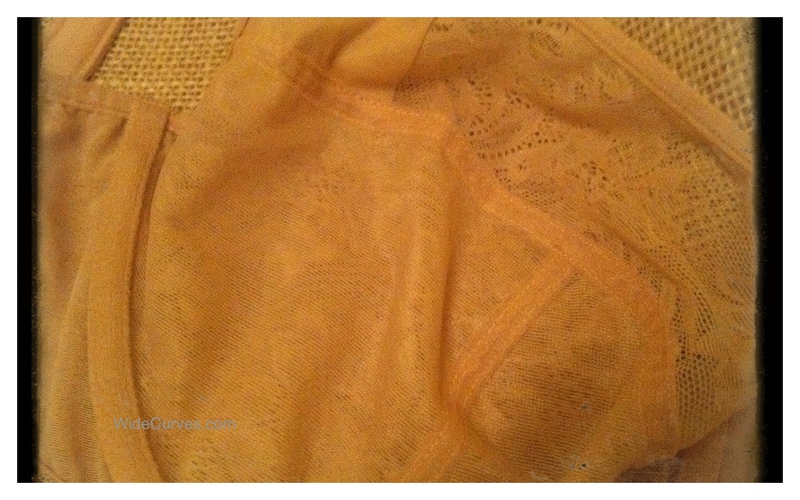 Image from Panache. Let me start with stating that I am in love with Idina. Idina is my best friend. 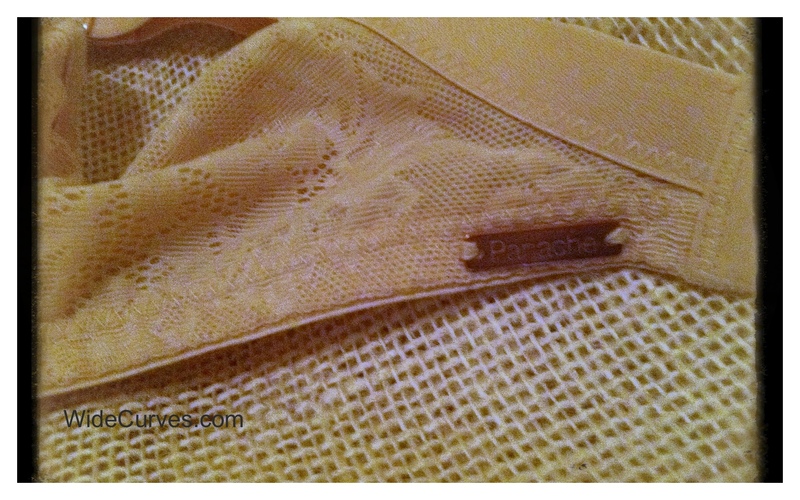 I’d avoided Panache bras because the wires tend to get a bit high in the arm pits and the cup wires tend to get a bit U’ey…but there is a solution. The Plunge. Call me crazy but it I seem to notice a trend with all manufacturers…the wires are shorter at the wing and the gore in plunges…and that is certainly the case with the Idina Plunge. First, the Idina is made from stretchy floral lace. The lace is not scratchy, the fabric is quite soft and the bra is wonderfully comfortable. The Idina is not padded, which worried me…but the bottom halves of the cups and the band are lined with mesh, which helps smooth out lumps and shape softish breasts. Idina Plunge cup interior – note the mesh lined cup and band. Despite the lace, the Idina is not frilly bra. It has smooth lines – sans bows and adornment, and the rose brass accents are a nice change and quite attractive. Rose brass details on the Idina Plunge. Band: The band is firm, and despite being stretch lace and mesh…not super stretchy. It does run small, I think. The Idina is available in a 30-38 band. Gore: The gore is low and tacks beautifully. Wires: The wires are typical Panache winged U. They stretch on the outer edges for a wider wing, and don’t stretch at the bottom or gore. Cups: The cups are deep enough for my lower/mid full breasts to settle into easily. The stretch lace and mesh is very supportive, soft, and comfortable. The cups are available in D-H cups. Straps: The straps are comfortable and do not escape under my arm pits or irritate my pectorals. Conclusion: I had heard the Idina runs small in band and cup, and at first I didn’t think so…but I’ve come to the conclusion it really does. I am between a 36/38 band and between an F/FF in a plunge. After a month of wear I have decided to try a black Idina (which I will order after vacation) in both a 38FF and 38F. At my fullest time of the month I get a bit of quadraboob in the latte 38F. I’ve also noticed the band is tighter in a 38 than my other 38’s…which means it fits me perfectly…which means it runs small. So, I would advise sizing up in cup and band, especially if you are between sizes. The Idina Plunge is a great bra for short waists and high set breasts. I do get a bit of push from the wires onto my rib cage, but I’ve only found a few bras that don’t…and the Idina does not push into my ribs enough to consider the wires uncomfortable. Review: Freya (and I mean ALL of them) Does Not Fit Me.